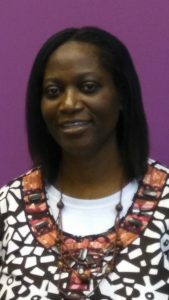 Pearl G. Adzei-Stonnes, Public Services, Acquisitions and Interlibrary Loan Librarian at Virginia Union University was selected as one of two winners of the STARS Mentoring Award sponsored by Atlas Systems. The award offers $1,250 to fund travel expenses associated with attending ALA’s annual conference and is awarded to a library practitioner who is new to the field of interlibrary loan/document delivery or electronic reserves, and who has daily, hands-on involvement in the areas of borrowing, lending, document delivery, electronic reserves, material delivery, or resource sharing. 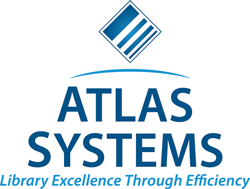 Adzei-Stonnes was chosen as the winner of the STARS Atlas Systems Mentoring Award because the essay submitted had an overall theme of leadership. The purpose of the award is to foster new librarians to become leaders in the field and Pearl’s attendance at the American Library Association’s Annual Conference will help her build skills, make connections, contribute to the profession, and learn ways to lead services at the L. Douglas Wilder Library of Virginia Union University. One Response to "Adzei-Stonnes receives ILL travel grant to conference"
Congratulations Mrs. Adzei service well done!